Steven Brill is raising $6 million to launch News Guard. This new service will rate news sites on their trustworthiness from green to red. Forget politically unbiased algorithms. The ratings will be conducted by “qualified, accountable human beings” from teams of “40 to 60 journalists.” Once upon a time, journalism meant original writing. Now it means deciding which original writing to censor. Facebook made a deal with ABC News and the AP, along with Politifact, FactCheck and Snopes, to outsource the censoring for $100K. When two of these left-wing groups declare that an article is fake, Facebook marks it up and viewership drops by 80 percent. The News Guard model is in some ways even more insidious than biased fact checking because it sets up lists of approved and disapproved sites. Google is rolling out something similar with its “knowledge panels” for publishers. Search for the New York Times and the panels will tell you how many Pulitzers the paper has won. Search for Front Page Magazine and the panel note describes it as, “Political alignment: Right-wing politics.” No note listing a left-wing political alignment appears in the panel for the New York Times despite its recent laudatory series about the Soviet Union and Communism. The Google Blog casually mentions that the panels will also list, “claims the publisher has made that have been reviewed by third parties.” You get one guess as to who those “third parties” will be. 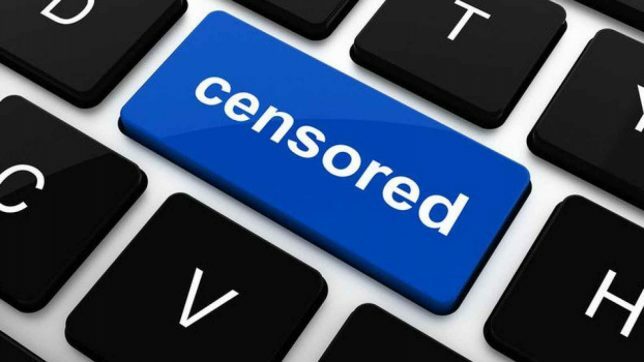 There is no more obvious example of the lack of neutrality than Facebook and Google’s partnership with “fact checkers.” If Net Neutrality means anything, it should strike down Google’s partnership with Poynter’s International Fact-Checking Network and Facebook’s use of Snopes to silence conservatives. Discussions about fake news often begin and end with “trust.” Major media outlets with Pulitzers are trustworthy. Major fact checking operations are also trustworthy. Even Snopes is somehow trustworthy despite its utter lack of professionalism, and its founders accusing each other of embezzlement. The Internet was a revolutionary environment that liberated individuals to make their own choices. Bloggers could compete with big media. Leaked emails could bring down a government. But the Internet is becoming less free. Access is controlled by a handful of tech companies that keep getting bigger and bigger. The survivors of the scale wars will combine cable, content, and commerce in new ways. And in a politicized culture, they won’t just signal their political views, they will enforce them. If we don’t fight now, 10 years from now conservatives will be the rats in the walls of the Internet.